Teachers will have their final PLP meeting of the semester this afternoon, allowing ISP faculty to collaborate towards continuous improvement. Click to read more about the experience. As professionals, we set goals for ourselves and our growth each year. In years past, we have worked towards continuous improvement on large-scale goals, but we haven't always carved out the time throughout the year to ensure we were regularly checking in on progress and working with like-minded colleagues. That's where our PLP meetings have come in this year. ISP teachers are gathering in inter-divisional groups each Wednesday. 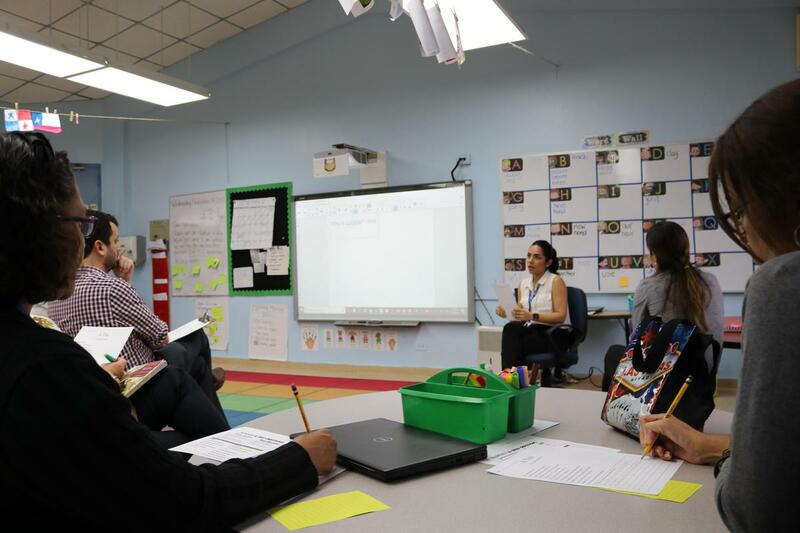 These groups were formed by bringing together teachers whose inquiry goals are based on similar themes, such as questioning or reflective strategies. Teachers then investigate these topics through the Inquiry Cycle laid out in Kath Murdoch's book The Power of Inquiry. In so doing, teachers have been able to "tune in, find out, sort out and reflect upon" their work. “We are working not only on the theory of The Power of Inquiry, but we are also modeling and interacting about best practices together as a group. We are particularly focused on implementing teaching strategies that are both measurable and achievable. It's my hope that our work on this will ensure that students take their learning - and their understanding - beyond their experiences in each of our individual classes. We look forward to continuing our work together into second semester, which will culminate in sharing out our learning journeys and achievements.